Jakothar the wizard stared up at the towering peak and shuddered. The mountain was taller than he had thought, its peak reached above the clouds to the heights normally reserved for the gods. He considered turning back, abandoning this quest and resuming his life. No, screamed an agonized voice in his head. He had studied for decades, honed his skills, made sacrifices without number in pursuit of this day; he would not retreat from his goal. He set foot to a rough trail at the base of the mountain and began to climb. He felt the power within him quiver as he climbed. The power of a hundred lives swirled within his soul barely contained by his will. The other wizards he had battled were worthy opponents but their skills were not as great as his own; their ambitions insufficient to push them to victory. Each victory drew the power, and life, of the vanquished into Jakothar’s body, increasing his magic and preparing him for this day, this mighty endeavor. The trail steepened forcing Jakothar to lean forward as he placed one exhausted foot in front of the other. Sweat trickled down his sides and the frigid air stripped the breath from his lungs. He could surely spare the tiniest erg of magic to warm his body and ease his aches. No, screamed the voice in his head again. He needed every ounce of magic for his quest, this crowning glory of his existence. He gritted his chattering teeth to silence them, wrapped his thin arms tighter around his protruding ribs to hold in his body’s warmth, and continued to climb. Cold winds roared across the mountain face as he was forced to begin to climb the rock which was now nearly vertical. Ice and snow lashed his face and the bare skin of his hands. He moaned in pain as the rocks drew blood from his fingers but he continued to climb. The world disappeared as he entered the clouds, so close now to his goal. The howling of the rarefied air became as the wails of those who had died. Mother, was raped and butchered by the invaders; Father was hung from the scaffold while the ravening enemy whipped the skin from his body and then took turns cutting the organs from his chest until finally he died; Little Mahena, the sweetest sister in the world, was raped before his eyes by dozens of the brutes. No care by the barbarians that she had yet to become a woman; her body was nothing but a vessel for their lusts until they tired of her and smashed her head against the rocks. 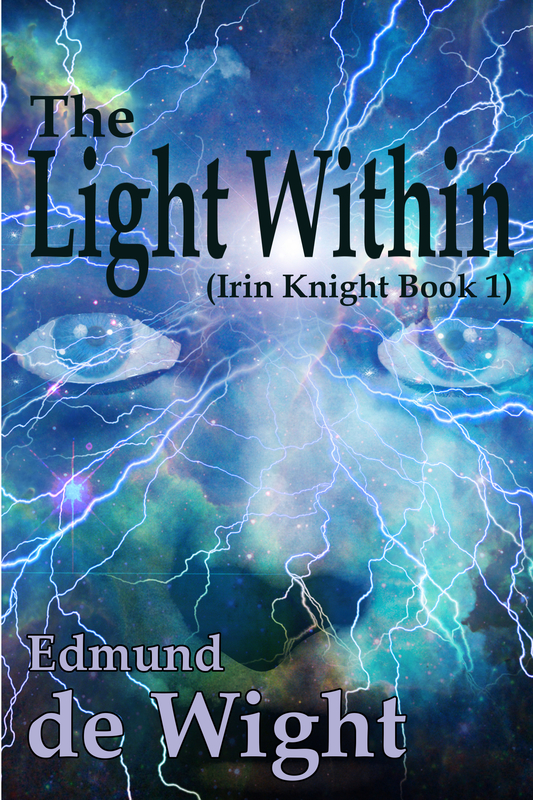 Jakothar was new to his power then but it came to his aid shattering the chains that held him. He wanted to avenge his family but his cowardice unmanned him; he fled but not without injury of his own. The wound from the arrow which the barbarian shot into his back as he fled still ached all these years later. They had left him for dead with the yard long shaft standing from between his shoulders; only the gods knew why he had lived. For this moment, a voice shouted from deep within his mind. The clouds fell beneath him revealing the dagger point of the summit above. The rock was covered in ice and nearly vertical, each hand hold was precarious and Jakothar felt himself on the verge of collapse. Even the slightest slip would send him tumbling to his death on the jagged rocks. He wanted to turn back, abandon this mad quest. His heart raced so fast he felt that it would burst through the bones of his chest. What was worth this suffering? Mother’s image rose before his eyes. Her legs were covered in blood and her soft loving lips were torn over shattered teeth. Jakothar screamed in rage. His wail joining the wind’s own chorus as it raced away across the mountain. She was why he climbed; Father was why he studied the darkest of magics; Mahena was why one hundred wizards fell before him to give him power for this day. At last the summit appeared. Trembling hands grasped the ultimate stone and pulled him to stand upon the peak. Darkness clothed the world far beneath him. Millions of stars whirled over his head. Were they uncaring witnesses of all the horrors of his world or did they gather to watch his quest be fulfilled? Jakothar lifted bloody hands into the air and began to chant. Ten years he searched to find the scroll containing this magic. Ten years hiding from the forces of the conquering Empire. Another five years of toil brought him understanding of the scroll and knowledge of what must be done to activate the spell it taught. For twenty more years he traveled in secret, hiding his power from the invaders who eschewed magic and sought to eradicate it from the world. He found other mages in hiding; none of them were strong enough to stand against the invaders. Magic was a small thing when held by one man; the invaders had no true fear of its power but feared its implications. Jakothar battled the hidden mages and stole their power. The scroll taught him how to harness their lives to his own and increase his power far beyond that of a mortal man. Now he stood atop the world with one hundred souls chanting the spell within his mind as he chanted aloud. Each word grew stronger as he spoke; first mere speech, then a shout then an echoing sound that was more than any human throat could possibly create. The words rolled out from the mountain, echoing through the hills, across the fields and over the cities now occupied by the invaders. Green light poured from Jakothar’s fingers and spread outward, carried by his words. Waves of light spread from the mountain in every direction to cover his country, the continent, the ocean and finally it covered the entire world. Vengeance, screamed a voice in his mind. Together one hundred voices joined Jakothar as he intoned the final word of the spell: Death. The light increased in intensity as Jakothar screamed the final word. Brighter it grew across the world. People in every land looked skyward in amazement and fear. The light intensified exponentially until the entire sky glowed as if it were the sun itself. Brighter still it grew until the seas boiled and the land burst into flame and every man, woman and child, invader and invaded, shriveled and died. Jakothar and the hundred souls laughed as the light claimed the world. His last thought was of his family, whom he would soon see again. With a final flash the light ignited, turning the entire planet to flame and leaving behind a green star to shine in the sky of some other world. This entry was posted on November 21, 2018, 8:00 am and is filed under FREE Fiction. You can follow any responses to this entry through RSS 2.0. Both comments and pings are currently closed.